You’ll all know what I am talking about in one second. That feeling when you are so overwhelmed that you can’t describe it. There are certainly moments like that. Listen to this track. If you hear what I hear, you will have the exact feeling I did. Something great began on 7/7/7, exactly five years ago. Dimitar Kalinov aka Violent Public Disorderaz gave birth to an independent netlabel that has given home to more than a hundred talented artists since. The label is looking mainly for the oldschool sound of the 90s, original sampling, dusted vinyl-like tracks and jazz influenced instrumental hip hop. The artitsts (including VPD himself) make up a really close family of international producers who collaborate, communicate, share, respect and inspire. Everything they release is legally free to download and is licensed under Creative Commons because everybody at DWK understands that music should be free and they made it their mission to spread quality music throughout the world. And their quest is going very well. Here is a short interview I did with Dimitar, basically random questions that popped into my mind about music, netlabels, artists and such. When did the idea of starting a netlabel first come to mind? – I dropped my debut EP for a netlabel (Lo-Kiwi now fused with Cat Nap) and I saw it’s good. Then I decided to unite artists I knew and to build our own place on the web. How many of the artists did you know that ended up at DWK before it was born? – 2 Bone Giants, Bradata, Mr. Moods, Lost Soul Refuge, Merlune, Daakoon, Nora Naughty, Citizen Crane. Since when have you been involved in music? Any relatives that did it or was it self taught? – Hip-Hop music. I grew up with the hip-hop culture. Listening carefully how beats are made I decided to make own stuff. I started in 1997, using analog equipment: a turntable and 2 tape recorders. I was in electronics and I added some very useful options – pitch controller, turning on/off erasing during the record; I built analog sound oscillators and filters. It was huge fun, I experimented a lot. Even now (when I’m in digital sound processing) I still use some of the methods I discovered in that time. What is the mission of Dusted Wax Kingdom? – To unite, to develop, to build quality and to make things happen for the artist. Who influenced you the most in your quest as a knight of the kingdom? Who should we think of when we listen to VPD? – In the first place: The KLF – I was impressed how they use elements from some of their previous tracks in new ones. Then I heard the same way of sampling in Cypress Hill’s music. DJ Muggs was probably the biggest influence of mine. I learned a lot listening carefully to his production. And here is a funny story. I resemble DJ Muggs. Once I was in an internet cafe, browsing his forums, a kid came and said “Nice pictures! Is that your website?”. Which moment were you most proud of since 7/7/2007 (the birth of DWK)? – I’m proud and happy everyday of what we do! I’m sure the greatest moment is yet to come! How would you try to convince and artists you would genuinely love to have on the netlabel to publish a release with you (is there anyone you would really like to sign at this time)? – I’m absolutely honest with them. I just say something like this “I love your stuff, this is what we do, do you want in?” 🙂 We are a real family, no matter of distance and time zones 🙂 I think artists feel themselves at home. They know that they create Dusted Wax Kingdom and they make it an unique place on the internet. The key is to feel involved in something good, something you love; to share with people who understand you. I’d really love to sign Raycord. He is from Canada, a very talented artist and his works fit perfectly to the mood of DWK. The artists who DWK supports are spread all over the world. How many did you meet in person? – Unfortunately I met personally only the DWK artists from Bulgaria so far. Tell us a funny story in connection with the label that happened during these 5 years. – The communication with DWK artists is the biggest fun you could have! All the cats are amazing, funny, open-minded. Once I had huge laugh when Anitek told me he played some DWK stuff and his neighbours called the police 6 times that week to turn the loud music down. – Both! In this digital era, it’s a challenge to make organic vinylistic music released on mp3. It’s really rare. How do you see netlabels in general in the future? What is exactly does it mean to be a knight of the Kingdom? – Yeah, I call our artists knights 🙂 It’s a very interesting association 🙂 A knight has gallantry, honour, purpose and cause to fight. So do we 🙂 We love old traditions, old music, oldschool hip-hop, that’s why I decided to use the word “kingdom”, but not the famous word “records”. And I don’t like when people say “Dusted Wax Records”. Records are what you buy and collect in your music library. Which commercial label would you say is your favourite? – Hmmm. Maybe Anticon. They are underground, funny, eccentric cats and big source of inspiration 😉 Some old stuff from Ninja Tune catalog, some music from Project:Mooncircle, Content (L)abel. What do you think the artists at DWK think of you? What would you name your club / bar if you opened one? It took years to get everything done for your latest album ‘Whiskey Sessions’ but like a fine single malt it needed 4 years to be perfect. When do you think the next VPD EP or LP is going to be out? DWK has just had its 150th release. Which was your busiest year of the 5? Are things picking up with more an more artists becoming “knighted”? – I could say it was 2012 🙂 We have so much releases to come. I started publishing 2 releases per week. Really busy times! And I hope the label is going to be even busier in years to come. I myself am very glad to know Dimitar personally and I very much doubt that you can find another netlabel in the world that have so many talented artists who actually do act like a real family. I could shower you with stories of how helpful and honest everybody at DWK is, but let’s leave that for another time. I have compiled a 2-part selection of my favourites of the 1420 tracks released by Dusted Wax Kingdom up to this day. These selections are my birthday present to the family and to all the artists who fight for free quality music. Long live the Kingdom and thank you Dimitar for all you do and also for this little interview. 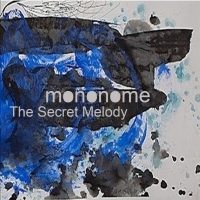 …I woke up and realized that the first EP of mononome was not enough. And I think all music addicts felt the same way. Now you can rest a bit easier as the sampling master dropped his second EP at Dusted Wax Kingdom, titled “The Secret Melody”. All the great favourites from his souncloud page are included. He keeps amazing us with dirty lo-fi sounds nobody else can create. Hope he will stay this way Forever… and will not be Wasted. Ok, this might be unusal on the blog but I have to write about this experience we shared yesterday. We received a link from Shoto (from Dusted Wax Kingdom) saying that he will perform live in a club in Sofia. The club had a camera set up and live feed was available from 9pm EET, which was 8 pm my time. So I tuned in and started commenting on the link on facebook whenever something great was spinning or Shoto made a comment. And then the evening really started… We had a couple of people from the DWK family in the Chat Room on facebook just listening to Shoto killin’ it in basically every genre possible from downtempo, trip hop through jazzy instrumental hip hop, all the way to swing and electro or golden age rap tracks. We were all awed by the great choices and praised him in the chat room and commented on the link as he could only see facebook on his iphone. Meanwhile we (VPD, Jenova 7, Radina, Esbe, Impuls, Revolted Child) kept chatting about music, the industry, memories, influences and all things that came to mind… Shoto just kept amazing us with beats that we all loved and were inspired by. The atmosphere was so vivid we all agreed that it would only be better if we could all be in that club sipping drinks and patting Shoto on the back and cheering him on, telling him never to stop. He kept updating us with what a track was if we did not know them, gave a heads up if a great dedication was coming and we just felt we want the night never to end. I just wanted to say thank you to all involved, especially Shoto for the awesome beats and the club for having the live feed available. Also for VPD for inviting me into the group on facebook a while ago. I met epic artists full of love and support. It was truly a terrific experience and I am grateful that I can live in a time when a guy from Russia, another one from the US and me from Hungary can listen and watch someone perform live in Sofia while sharing our thoughts on a common channel. GDaddie, bugseed, Nujabes, Flevans, Smoke City, Pete Rock & CL Smooth, Badmarsh & Shri, Thievery Corporation, Waldeck, Flevans, KRS One, Skee-Lo and for me the highlight of the night was Jazzhole by Free the Robots. All in all, it was one of the best experiences of my life and I wish I could just push repeat. I almost forgot… the feed usually records what’s on the camera, hopefully it did just that yesterday as well. This guy from the Dusted Wax family keeps on bringing amazing stuff one after the other… Perfect sampling and a vibe that surely fits the title of the track. Check out Beats & Hypnotism. It’s just… beautiful and hypnotic. Third time’s the charm. So the last mix for today is my very own selection of Dusted Wax Kingdom‘s 051-100. It was very hard to choose from 506 tracks. Everything the netlabel publishes is golden, so had a rough time with choosing the right ones. Well, BPMs and keys helped a lot and I hope everybody will enjoy this little trip to the Kingdoms again. Spread the word, share the love and enjoy Dope Wax Knowledge! Finally, here it is. 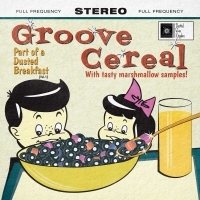 My man Francesco Cimato has had his LP published titled Groove Cereal – Part of A Dusted Breakfast (Volume 1). Of course once again Dusted Wax Kingdom is responsible for this crime and I hope the cereal killer will strike again very very soon. The tracks range from trip-hop, acid jazz to funky chilled beats and are a treat for the ears. Have a great breakfast! …beats like this? I don’t… I mean I have not heard anything remotely as good as this for a long time in the genre. Big up Andy! Innereyefull for the win. Let me see you move your feet!